Located in Los Angeles, California, the law firm of Robins Kaplan LLP offers unmatched representation for your medical malpractice claim. Serving clients throughout the state, we have achieved unprecedented success advocating on behalf of those who suffered an injury or loss at the hands of a negligent physician or other health care provider. Regarded as one of the country's top medical malpractice law firms, we have secured millions of dollars in settlements and awards for individuals and families to help them find the justice they seek for their legal personal injury and wrongful death claims involving brain injuries, hypoxic-ischemic encephalopathy, cerebral palsy, paralysis, amputations and more. Our ability to handle the toughest cases comes from our dedicated team of legal professionals and licensed nurses and physicians as well as our vast network of medical analysts, investigators and other medical professionals, whom we rely on to help prepare the strongest case possible for those we serve. We understand how hopeless you likely feel regarding your situation, but you can turn to us to help you obtain the justice you seek. From your initial contact with us all the way through to the resolution of your case, we will remain by your side to ensure we have done all we can to help you through your difficult time. 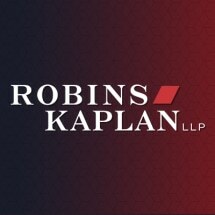 To find out more about how Robins Kaplan LLP can best serve you and your family, you can contact our law office to schedule a free initial consultation.